We will see how to convert a virtual machine from an ESX host with a VMDK format disk to VHD format. This is thanks to the conversion software V2V Starwind Image Converter. Veeam Backup and Fast SCP (to be installed on the Windows client). 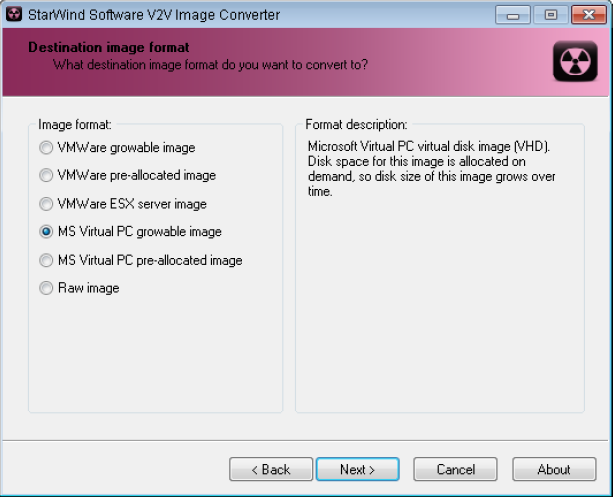 StarWind V2V Image Converter. (to install on the Windows client). Click on the icon provided for this purpose. Select "ESX or ESXi Host" in the first step. Enter the username and password of an ESX server administrator, by default this corresponds to the user: root. Then check "Connect when I click Finish" and click on "Finish". This will allow an automatic connection to the server after the end of the add.